Here’s a look at Lucas Matthysse (38-4 / 35 by KO ) vs. Tewa Kiram ( 38-0 / 28 by KO) vacant WBA “regular” welterweight championship, scheduled for 12 rounds and Jorge Linares (43-3 / 27 by KO) vs. Mercito Gesta (31-1-2 / 17 by KO) WBA lightweight championship, scheduled for 12 rounds – airing on HBO on Saturday, January 27, 2018 from the Inglewood Forum in Los Angeles, California. 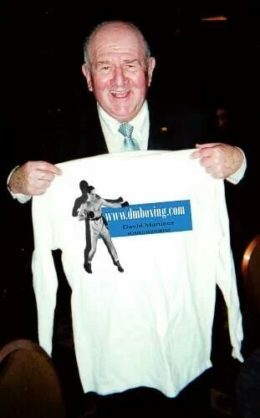 My good friend Harold Lederman of HBO World Championship Boxing kindly provides dmboxing.com with his short video clips of upcoming fights. Here’s a look at Billy Joe Saunders (25-0 / 12 by KO) vs. David Lemieux (38-3 / 33 by KO) WBO middlweight championship, scheduled for 12 rounds – airing on HBO this Saturday, December 16, 2017 from Place Bell, Laval, Quebec, Canada. 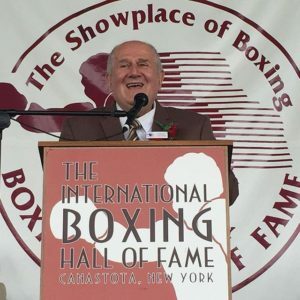 My good friend Harold Lederman of HBO World Championship Boxing kindly provides dmboxing.com with his short video pieces regarding upcoming fights. Here’s a look at Orlando Salido (44-13-4 / 31 by KO ) vs. Miguel Roman (57-12 / 44 by KO) junior lightweight bout, scheduled for 10 rounds – airing on HBO this Saturday, December 9, 2017 from Mandalay Bay Resort and Casino, Las Vegas. Here’s a look at Miguel Cotto (41-5 / 33 by KO) vs. Sadam Ali (25-1 / 14 by KO) WBO junior middleweight championship – airing on HBO Saturday, December 2, 2017 from Madison Square Garden, New York. My good friend Harold Lederman of HBO World Championship Boxing kindly provides this website dmboxing.com with his short video clips of upcoming fights. Here’s a look at Sergey Kovalev (30-2-1 / 26 by KO) vs. Vyacheslav Sharbranskyy (19-1 / 16 by KO) scheduled for 12 rounds, for the vacant WBO light heavyweight championship – airing on HBO Saturday, November 25, 2017 from The Theater at Madison Square Garden, New York. 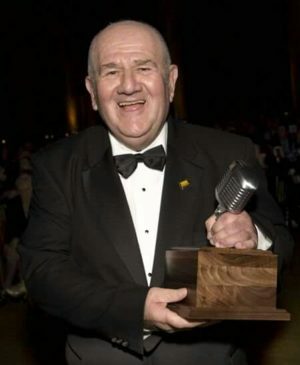 My good friend Harold Lederman of HBO World Championship Boxing kindly provides this website with his short video links of upcoming fights. Here’s a look at Daniel Jacobs (32-2 / 29 by KO) vs. Luis Arias (18-0 / 9 by KO) middleweight fight, scheduled for 12 rounds – airing on HBO tonight Saturday, November 11, 2017 from the Nassau Coliseum, Uniondale, New York. My good friend Harold Lederman of HBO World Championship Boxing kindly provides dmboxing.com with his short video pieces of upcoming fights. Here’s a look at Dmitry Bivol (11-0 / 9 by KO) vs. Trent Broadhurst (20-1 / 12 by KO) for the WBA light heavyweight championship, scheduled for 12 rounds – airing on HBO tonight, Saturday, November 4, 2017 from Monte Carlo. Here’s a look at Jorge Linare (42-3 / 27 by KO) vs. Luke Campbell (17-1 / 14 by KO) WBA lightweight championship, scheduled for 12 rounds – airing on HBO this Saturday, September 23, 2017 from the Inglewood Forum in Los Angeles, California. Here’s a look at Gennady Golovkin (37-0 / 33 by KO) vs. Canelo Alvavez (49-1-1 / 34 by KO) WBA/IBF/WBC middleweight championship, schedules for 12 rounds – airing on HBO/PPV this Saturday, September 16, 2017 from the T-Mobile Arena in Las Vegas.